We have No King, No Dictator, We the People Restrain Government! We watched Paul Ryan earlier in the week call for unification of the Republican party, then we listen tonight, Wednesday, to the RNC insulting a man of courage, convictions, and honor, because he did not congratulate Donald Trump, nor did he kiss the Ring of Priebus, or Trump. No Ted Cruz spoke of the true values, convictions, and principles of the GOP. He spoke of Abe Lincoln, our first President of the Republican Party signing the emancipation proclamation to Ronald Reagan, and from the ending of slavery to the civil rights movement. The ending of Jim Crow laws, and the legacy of Judge Scalia. 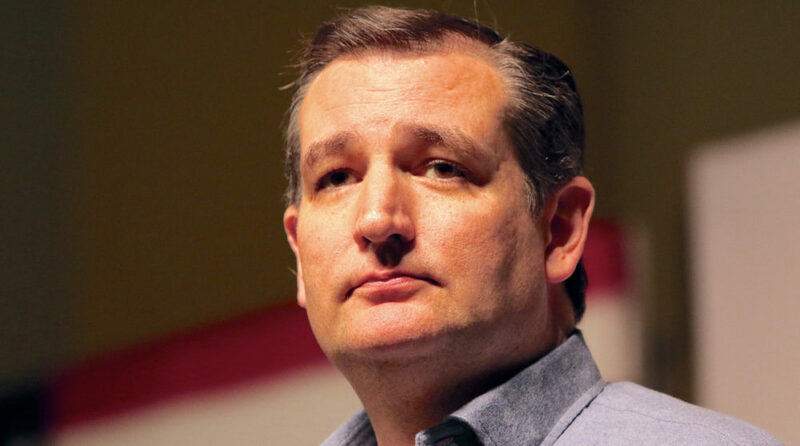 We watched a man of great honor, great wisdom, and an unending supply of courage to come into the convention of Cruz haters, and unknowns, and walked out able to stand strong with his head held high. As we watched Ted walk into the hall, and being introduced, we see the longest, loudest applause that any speaker has received to this point. He is loved, respected, and known to be of true values. Ted did congratulate Donald J. Trump on being selected the nominee on Tuesday evening, then he spoke of the principles that made the Republican Party great. All through his speech, he spoke and was cheered with loud roars of positive U.S.A., U.S.A, over and over. Ted asked, did we live up to our values? Have we done the best we can for our country? We the people constrain the government, and the most powerful five words in the English language, I want to be free. Ted spoke of doing better than the liberals, we have to do it for all of the fallen soldiers who have died protecting our freedom. There is a better answer than liberalism, and it is a return to Freedom. Britain rejected big government and extreme liberalism when they BREXIT. Freedom, a word spoken over and over by Ted brought more cheers of U.S.A, U.S.A.
Freedom will bring people from poverty to a dignity of a job. Freedom means our military fighting ISIS, more U.S.A., U.S.A. Ted called for leaders to put aside anger, and asked the voters to put aside anger, and vote your candidate that supports your values, up and down the ticket, that you trust to be faithful to the Constitution. Vote your conscience. More cheers and then, “fight for freedom, your God given right”, as New York started to show their ignorance and hatefulness. Ted ended his speech with “Stand for America, God Bless America”. With several cheering, and the Trump #trumpleweeds, and brown shirts started their ignorance, rudeness, hatefulness, and showed why Donald still is not the answer to an undivided America, an America to bring stability, a strong military, secure borders, and great trade policies, but to spread his own way of hate and ignorance to the truly undereducated as he described them…. We also saw earlier in the week Rudy Giuliani bring the convention to their feet with his talk of the Blue lives where they did not ask “What color are you, are you gay or straight, black or white, no they just come to save your life” We saw Chris Christie adding fuel to the fire of Hillary’s downfall by prosecuting her and her deeds as secretary of state including Benghazi and emails. Tonight we saw a true statesman, that statesman was not Donald Trump, Mike Pence, Newt Gingrich, but it was Ted Cruz. Ted laid out the reasons why Republicans are the answer. Ted laid the groundwork to save the senate and the house from liberalism. We saw a strong, powerful man show us what being a strong statesman is. Donald got more than he wanted. He got the strongest group of Americans to stop and listen, for just a little while, for the wisdom, and knowledge of Ted Cruz, and for the call to keep the house and senate in the hands of republicans, while Donald has called Ted many names, and also stated he did not need nor want conservatives, Ted, without giving an endorsement for Donald, made the case for America to vote for the Republican. May God bless Ted, Heidi, and their beautiful family, for they are the true future of a true Constitutional Country….